CoE Anti-Crime Director Kleijssen to EF: Heritable Genetic Editing = Frightening => Ban as Cloning ! Home newsitems CoE Anti-Crime Director Kleijssen to EF: Heritable Genetic Editing = Frightening => Ban as Cloning ! *Strasbourg/CoE/Angelo Marcopolo/- Days before Chinese President Xi Jiping is due to meet with European and USA Leaders (See: http://www.eurofora.net/newsflashes/news/usachinaontradeandbioethics.html, and Infra), the Experienced Director of CoE's PanEuropean Organisation for Human Rights, Democracy and Rule of Law, (which has 47 Member States, including Russia, etc) competent also on Fight against Crime, Jan Kleijssen from the Netherlands, speaking to "Eurofora", strongly Denounced the recent Heritable Genetic Editing of 2 Babies by a Chinese Doctor Educated by, Linked to, and Publicized through a "Socialist"/Liberal USA Network of the former Barack Hussein Obama's era, (See : ...), and stressed that it must be Banned, reminding that also the Cloning of Human Beings identical to others, had Started to be Outlawed already since the 1990ies. CoE is the Only Multilateral Organisation in the World which has a Legaly Binding Convention on Bio-Medicine and Human Rights, called "Oviedo" Treaty, as early as since 1998, which is Open for Signature and Ratification even to 3rd, Non-European Countries, accross the World. Kleijssen made it clear that, as a matter of General Principle, most Bio-Medical Research and Technologies, as well as many others, are neither "bad", nor "good" in themselves, but depending on the way in which some Use or Abuse of them. That's why, Bio-Ethical Rules should, in general, EnLighten and Guide Practitioners on what, when and how a given Technology might be, entirely or partially, admissible, or not, he recalled. But, sometimes, there are also certain "Red Lines", CoE's Top Official pointed out. F.ex., CoE called to "Prohibit" the Cloning of Humans, (i.e. the ReProduction of Identical Human beings to another individual, alive or dead), Denounced as Contrary to "Human Dignity", (to which were Added, Later-on, Worrying Findings about Negative Genital Malformations of Cloned Animals, as the Famous Ship "Dolly", Dead after Sufferings), with a Protocol to its above-mentioned Convention on Biology, Medicine and Human Rights, (the "Oviedo" Treaty), opened to signature in Paris since January 1998, he Reminded. So that Countries going from Germany up to Australia, etc, already Imposed such a Ban against Cloning of Human Beings, via Legal Rules threatening with several Years of Jail, Financial Sanctions, etc., and USA's former President G.W.Bush had also adopted a similar Measure, before the Bill stahled in the Congress. + Moreover, several More Countries throughout the World, including, f.ex., among others, also Italy, Spain, the Philppines, USA, the Holy See, Costa Rica, Portugal, most Latin America Countries, backed in substance by France and Germany, etc, pushed for an International Ban against "Cloning" Humans, at the level of the UNO, followed also by several other Countries which were for a Partial Ban, on 2005, finaly Resulting, then, into a Global UN Declaration. >>> But, Nowaday's Threat for Heritable "Editing" able to Manipulate the Human Genome also in Future Generations, in an Irreversible way, (as it Started to already occur since the Autumn of 2018 : Comp. Supra), -"is, indeed, very Frightening ! ", denounced CoE's experienced Director against Crime, (who has also Served as CEO of CoE Assembly's Political Committee, Head of CoE Secretary General's Office, etc). 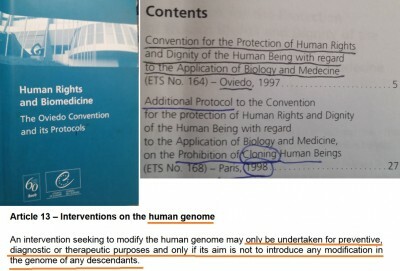 => Therefore, we (CoE) should make it clear that this Controversial Technique "Crosses a Red Line", by Prohibiting it, with a Legaly Binding Measure which can be extended Worldwide, f.ex., based on CoE's above-mentioned Convention on Bio-Medicine and Human Rights, which already Prohibits any Intervention aimed at Modifying the Human GermLine, (i.e. 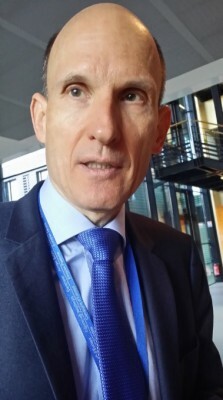 to Manipulate the Human Genome also for Future Generations : "any Modification to the Genome of any Descendants", as its Article 13 says), Kleijssen urged. + In Parallel, 2 New CoE Experts' Reports on Editing Human Genome are reportedly in Preparation : Both a Survey of All Member Countries' relevant Legislation, and a BioEthical Analysis of what is really at stake. ++ Meanwhile, a fresh Call to establish "a Global Ban" against Heritable Genetic Manipulations on Humans was Recently Launched by MEPs during an "ad hoc" EU Parliament's Debate in Strasbourg, with an EU Commissioner promissing to "Explore" that possibility asap, while the vice-President of the Biggest Political Group, that of ChristianDemocrats/EPP, Pons from Spain, speaking to "Eurofora", announced that, already a relevan Draft Resolution circulates inside EU Parliament, with the aim to be voted and adopted, hopefully, before the forthcoming EU Elections of May 2019, (See: http://www.eurofora.net/newsflashes/news/eppvpresidentandmepsongermlinemanipban.html , etc). +++ In Addition, a Chinese Government Official has Recently Condemned Strongly such Controversial and Dangerous Practices, (against Health and Humanity), as both "illegal" and "UnEthical", (See, f.ex. : ...), while US President Don Trump, in a Recent Speech to the traditional BiPartisan, American "National Prayer Breakfast" annual 2019 event, spoke for "All Children, Born and UnBorn, (which) are made at the Image of God", linked to "the Miracle of Life and to the Majesty of Creation", as he said for the Human Embryos, on a Key Point which was most Widely and Lively Applauded by Thousands of People. Several among Trump's Socio-Political Opponents are Afraid that the American President might be, sooner or later, enclined to Trigger and Stimulate also Christian and other such People's support on certain Key BioEthical Issues, (perhaps inspired also by his predecessor, GWBush's similar succesful move at his brillant Re-Election of 2004, which had suddenly become UnExpectedly Popular), against the narrow-minded, petty interests of some selfish Lobbies which had copiously Paid Barack Hussein Obama's pre-Electoral Campaigns on 2009 and 2012, pushing to Drop BioEthical Values for Big Pharma's bucks. => Until and during April, Presidents Trump and Xi have, on the Occasion of Top-Level Contacts for Trade, a rare, if not unique, Chance to make an Historic move in order to Settle, or, at least, Prepare and ensure the settlement of such a Crucial Issue. 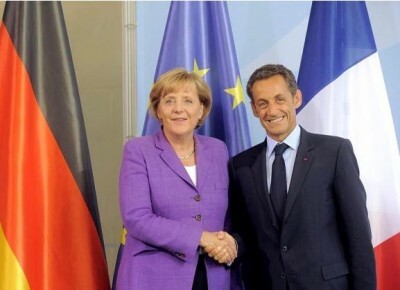 ++++ This is Also true for even Earlier expected Top Level Meetings of the Chinese President, towards the End of March, with key European Leaders as the French President Emmanuel Macron and the German Chancellor Angie Merkel, Together with EU Commission's President Jean-Claude Juncker, Next Week in Paris, at the Eve of Crucial EU Elections of May 2019, and well Before the decisive 2020 US Elections. 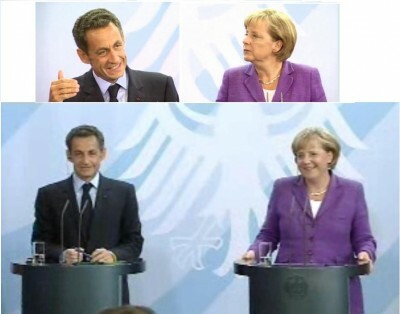 Between those Two Dates, an EU - China Summit (after EU Commission recently adopted its Draft "Strategy" on Beijing, earlier this March in Strasbourg : Comp: http://www.eurofora.net/newsflashes/news/eucommissionvpresidentonchinaandspace.html, to be Followed, Later this week, also by an EU Heads of State/Governments' Summit due to discuss and vote on EU's overall Strategy vis a vis China) is scheduled in Brussels for April 9.